Developing her work over four decades of teaching, Joan Schirle has incorporated the work of DAI’s founder Carlo Mazzone-Clementi, as well as Viewpoints, Laban, dance, Delsarte, Commedia dell’Arte, mask work, Balinese performance, Patsy Rodenburg, and the Alexander Technique. From this range of influences and following her own experience as a working actor, director, and deviser, she has helped shape Dell’Arte’s pedagogical approach to training the global, flexible actor, at home in a spectrum of styles. 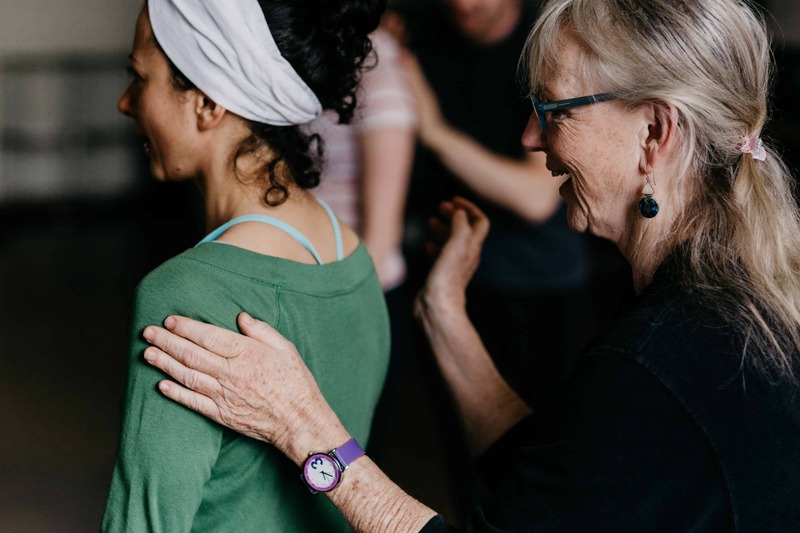 In 2018 the Association of Movement Theatre Educators (ATME) presented Schirle with a Lifetime Achievement Award. Classes will meet from 9 AM to Noon and 1:30 PM – 4 PM daily, with evening showings of films, discussions, and lab work. Following daily warmups there will be work on curriculum material, approaching and motivating students, feedback loops, and working from personal strengths as a teacher. 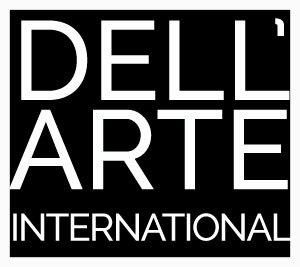 As part of their study, participants in this workshop will observe students in the Dell’Arte Summer Intensive, which each year draws 40 students to learn the foundations of the actor-creator work of the School. A complete daily schedule will be published in March, 2019. This is an advanced workshop for teachers with an active teaching practice in the field of performing arts. It is not necessary to have taught physical theatre, but teaching experience in the areas of acting, dance, voice, performance, directing, bodywork, etc. are a pre-requisite. To Apply: This Workshop is Fully Enrolled. If accepted, a deposit of $250 is required to hold your place, with the balance of $750 due by May 1, 2019. Housing is not included but there are a number of local options, including a special rate at the Blue Lake Casino Hotel. Please see below for more info. Limited rooms are available at Blue Lake Casino for a discounted rate of $79.00 for June 30 – July 6 for Teaching Embodied Practice participants. Rate expires 30 days before the start of the workshop. Book your rooms as early as possible since this is a busy season at the hotel. Ask for the Dell’Arte room block when making reservations. Call (877) 252-2946 or visit bluelakecasino.com. A full refund will be made until four weeks prior to the start date of the Intensive. A cancellation occurring after May 15, will be charged a cancellation fee of $100.